What are the uses for salt? 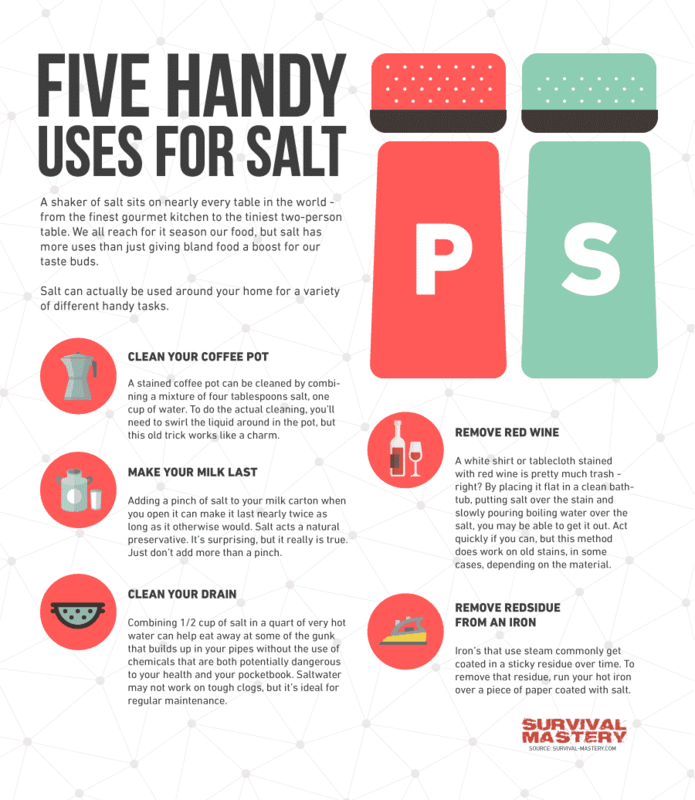 In the survivalist world, one of the most important basic ingredients is salt because it has so many uses, not only for cooking food. Did you know that it actually has plenty of other uses, which many of us may not be aware of or know about? 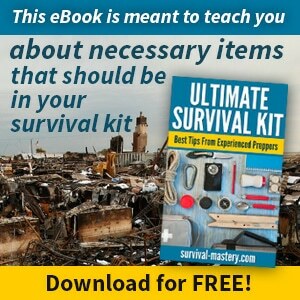 To discover their many uses, check out this guide and be amazed. Salt uses goes beyond food flavoring, baking chemistry and food preservation. In fact, it is one of the most versatile ingredients around. 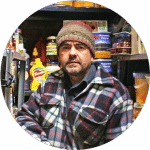 According to the Salt Institute, it has about 14,000 uses, one of the earliest being as a cornerstone in food preservation, lessening a human being’s dependence on seasonal food, while providing sustenance for them when they travel very long distances. However, it was hard to obtain long ago, but not now with modern production techniques, making it readily available from many sources. In fact, its supply is so abundant that it’s inexhaustible. In the medieval times, at least, it had been used as a cleaning agent; in fact, the ancestors had used it for all the cleaning needs around their homes. 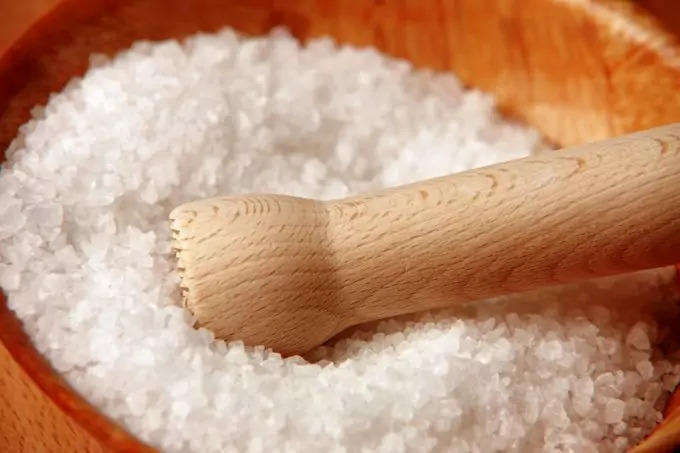 Right even before toxic, chemical cleaners are introduced, salt was the superstar for millions of people, mainly because it is very abundant, organic and non-toxic. Aside from such, people had also discovered the uses of salt for food flavoring and food preservation, making it the most inexpensive ingredient in their kitchens. Eggs – For one, salt can be added to water to make it boil at a higher temperature, reducing cooking time. You can also set poached egg with salt because the egg whites will settle quicker when you drop it in water with salt when poaching, as it can increase the temperature of boiling water. Speaking, you can also test egg’s freshness using salt; all you need to do is to add about two teaspoons of it in a cup of water and then put the egg on it. A fresh egg should sink but an older one should float. So, the next time you’re asking, “What is salt used for?” You pretty have the idea about this unique use of salt for determining egg’s freshness. What happens here is that the air membrane in the egg rises, as the egg gets older, so an older one is buoyant. Therefore, do not think that the egg is rotten at this stage. You can crack an egg into a small bowl and then see its appearance and smell its odor. Your nose is going to tell you whether the egg is suitable for eating or not anymore. Now if you boiled the egg and you find it hard to peel it, it means that the egg is fresh. Fruits – You can prevent the browning of fruits with salt, too. While people use vinegar or lemon to stop fruits, such as pears and apples, from browning, you can also put slices of them in saltwater to keep their fresh color. In addition, shelling nuts, such as walnuts and pecans, can also be easier with salt. All you need to do is to soak them into salted water for a couple of hours before trying to shell them so that you can remove the meat from the shell faster. More about salt uses for food: You can also prevent your cake icing from forming crystals. You can add a little of salt when making cake icings so that you can prevent them sugaring. And then when making food in the kitchen, you cannot help but get your hands smelling foul due to ingredients, including garlic and onion. While washing hands with soap and water can do the trick, salt and vinegar combined can also take out the odor from your hands. In addition, you can reach higher peaks by just adding a some salt when beating whipping cream or egg whites. And for extending cheese life, salt is also useful because it can work to prevent the formation of mold on it. All you have to do is to wrap it with a clean cloth moistened with saltwater before storing it in the fridge. Now if you want to save your oven’s bottom, especially when bubbles formed due to casserole or pie in your oven, all you need to do is to put salt on top of the spill. You don’t have to worry though because it won’t smell or smoke because it will just turn into a crust, which can make it easier for you to clean the pie mess after when the salt crust cooled. Salt, aside from its uses in food preparation, is a great but gentle scouring material. It also acts as a catalyst for materials, such as vinegar, when cleaning and deodorizing around the home. At the very least, you can make a soft scrub by creating a paste with salt, dish soap and baking soda to clean enamel, appliances and porcelain, among other things at home. And speaking of cleaning, it can also be used in cleaning sink drains. To do it, you can just mix salt with hot water and down the solution in your sink every day to deodorize it as well as to get rid of grease buildup. You can also remove water rings by rubbing a thin paste of vegetable oil and salt on the marks left by hot dishes and beverage glasses on wooden tables. More about salt’s use in the kitchen: It can be used in cleaning greasy pots, pans and cast-iron skillets with salt and paper towels. You can also clean all stained cups by mixing salt with dish soap for making a scrub against stains from coffee or tea. Cleaning around the house also means cleaning your refrigerator at least once a week and salt is ideal for it. All you have to do is to combine salt with soda water to deodorize and wipe out the interior of your fridge to keep it clean and fresh smelling, while you’re preventing the use of chemical cleansers. Speaking of cleaning, salt works well in cleaning brass or copper, and all that you have to do is to combine equal parts of vinegar, salt and flour to create a paste. Then, run it onto the metal surface. Leave it for an hour before wiping it with soft cloth or with brush. After, buff their surface with clean, dry cloth. Salt is truly a versatile agent with plenty of uses, and one of it is to get rid of rust on surfaces. All you have to do is to mix cream of tartar, salt and water to create a paste. When done, rub it on rust and let it dry. 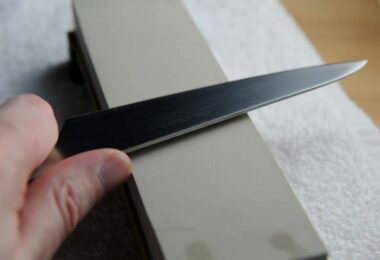 And then, brush the rust off using soft cloth. Alternatively, you can achieve the same purpose using lemon and salt. You can also clean a glass pot with salt by just adding it to ice cubes, and then putting them in a glass pot. You can start swirling them around before rinsing. The salt will scour the bottom of the pot, while the ice is helping to agitate the salt for a better scrubbing action. Do you have wine spills into cotton clothing or linen tablecloth? No problem if you would use salt to clean the mess up. 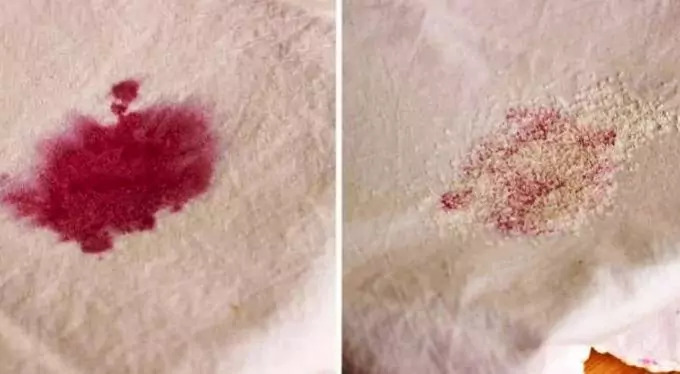 Blot the stain up and cover the wine stain using a pile of salt that works to get rid of the wine from the fiber. And to get rid of wine stain on cotton clothing or linen tablecloth better, soak it in cold water for about thirty minutes before washing it. Another use of salt for the laundry is quelling oversudsing. You can eliminate excess suds with a sprinkle of salt while doing the laundry. You can also use it for drying clothes in the winter by using it on the final rinse in order to prevent your clothes from freezing when hanging them outside. You can also brighten the colors of clothes and fabric, especially on colored curtains or on fiber rugs. All you need to do is to make a saltwater solution that can brighten their shade. If you have faded carpets and rugs, you can also brighten their color by rubbing them briskly with a clean cloth dipped in a saltwater solution before you get them wrung out. And if you want to get rid of perspiration stains, you can also do it with salt by just adding four tablespoons of it into one quart of hot water. Get a sponge dipped into the solution, and rub the fabric with it until the stain is gone. Speaking of stains, you can also make use of salt when getting rid of bloodstains in clothing. All you have to do is to soak the stained cloth into cold water with salt before laundering them in soapy, warm water. Boil the clothing after wash, but use this solution only on linen, cotton and other types of natural fiber that can withstand heat. Now for dealing with rust stains and mildew, you can just moisten stained spots on the surface using a mixture of salt and lemon juice. Then, you will have to spread the stained item under the sun for bleaching before rinsing and drying. Not only that salt is ideal for many laundry solutions but it also works against a dirty iron bottom. All you need to do is to spread a pinch of salt on a paper before running a hot iron over it to get rid of the sticky iron spots. And for setting color, you can also use salt, which has also been used in the textile industry. It can work for homes, too, especially on clothing that isn’t colorfast. What you have to do is to soak the clothes for one hour on a one-half gallon of water where you have added one-half cup of salt and one-half cup of vinegar before rinsing. If you find color on the water, repeat the same process. This solution is only ideal on a single color cloth or fabric. For multi-colored ones, the solution is dry cleaning to prevent the colors from running all together. There are also many uses of salt around the house, and not only that it works best in many cleaning chores, but it also works for many other household purposes. One of them is when deterring ants. If there are a lot of them in and around your home, then what you only have to do is to sprinkle them in corners, including windowsills, doorways and all other corners used by ants in entering your home. They don’t like walking on salt. You can also get rid of grease fires using salt. 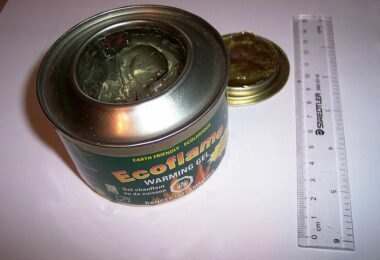 All you have to do is to place a box of it near your oven or stove. Douse the flame with salt if a grease fire flares up. 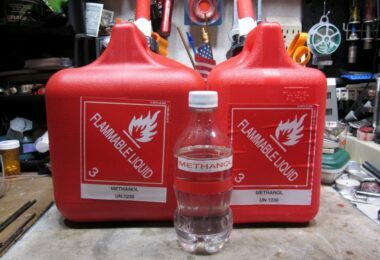 Remember not to use water to eliminate grease fires because it will just splatter the burning grease. But if you would be using salt on the grease fire, it can work as a heat sink that will be able to dissipate heat from it as well as it can form an oxygen-excluding crust for smothering the fire. Aside from these uses, salt can also be used in drip proofing all candles. What you only have to do is to soak new candles into saltwater solution for a couple of hours before drying them up. This is the perfect solution to prevent the candles from dripping too much when you burn them. Now if you love fresh flowers into your vases but you want to keep them as fresh as they are, you can just add a pinch of salt to the water in the vase to keep your flowers fresh for a longer period of time. To achieve the same effect, you can also add a dash of sugar or an aspirin tablet to keep the flowers fresh, too. Aside from keeping the flower fresh, salt can be used for arranging artificial flowers, which can be kept in place using salt on the base of the vase. You can add cold water before arranging the flowers. Notice that the salt solidifies when it dries, keeping the flowers in place. All you have to do is get one cup of flour, a cup of water, one-half cup of salt, two tablespoons of cream of tartar and two tablespoons of oil. Then, start stirring the cream of tartar, flour, oil and salt, while slowly adding water onto the mixture. Cook it over medium heat, while stirring it frequently until the dough stiffens. Once done, spread the dough onto a wax paper, and set it aside to cool. After, knead the dough until you achieve desired consistency. You can also repair walls using salt. What you need to do when filling nail holes and fixing small dings and chips on plaster walls or sheetrock is to mix two tablespoons of salt and two tablespoons of cornstarch before adding enough of water of about five teaspoons in order to make a paste. When done, use this paste to fill these holes. Now if you find weeds in the patio and you want to deter them, you can also depend on this versatile agent. Commonly seen in blocks or bricks in your patio, driveway or sidewalk, mold that grow can be eliminated by spreading the salt carefully between cracks before sprinkling with water to deter the weeds. Not only that you can eliminate weeds in the blocks or bricks of your patio with salt, you can also make use of it in killing poison ivy. What you have to do is to combine three pounds of salt on a gallon of soapy water. You can begin applying it on the stems and leaves using a sprayer to avoid killing other plants. During winter, sidewalks and driveways can be so filled with snow and to de-ice it, you can sprinkle rock salt on them to keep the ice and snow from sticking to the pavement. It will also help in scraping and shoveling, but don’t overdo, as it may damage paws and plants, too. Oral care – If you want to extend the life of your new toothbrush, you can soak it in saltwater so that it can last longer. And speaking of toothbrush, you can also clean teeth using a part of fine salt on two parts of baking soda. When done, you can start dipping the toothbrush into the mix before brushing your teeth. You can also use this mix for appliances used for orthodontic purposes. You can also rinse your mouth with salt, one of its best antiseptic uses. All you have to do is to combine equal parts of baking soda and salt into water, and then gargle it into your mouth for a thorough deodorizing effect. Aside from this purpose, you can also solve mouth problems, including mouth sores, abscesses and cankers, with salt. All you need to do is to rinse your mouth using a saltwater solution. Repeat the same process every day until the problem disappears. Exfoliating massage– Now for an exfoliating massage, salt is also ideal because it works as a great skin scrubbing agent that can remove dead skin cells. It also functions to boosts blood circulation as well as to make skin looking fresh. 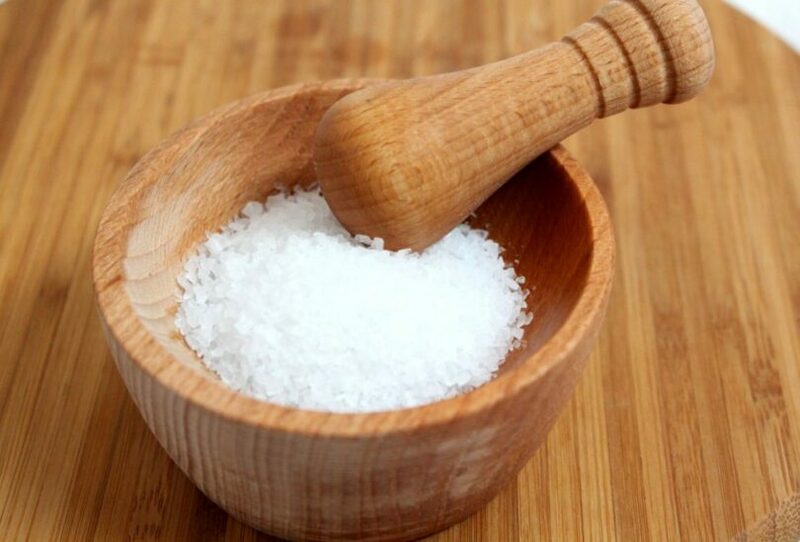 Salt can be used to scrub your skin without harming it or leaving harmful residue behind. Facial balancing mask – For a natural balancing mask, salt is also a great remedy because it has anti-inflammatory properties that can help in soothing the skin and calming irritation and breakouts. You can also use it in balancing oil production so that you can avoid breakouts. It can also be used in keeping your skin hydrated, especially on skin layers where hydration is needed most. To use it for a balancing mask, combine two teaspoons of fine salt with four teaspoons of honey to make a paste. When done, begin applying it evenly on dry skin, but avoid getting it in your eye area. Leave it for about 15 minutes. Do not rinse it yet, but get a piece of cloth soaked in warm water. Wring it out and lay it on your face for about one minute. You can use your fingers to exfoliate skin by following a circular motion when rinsing your face with water. Facial toning – If your skin is oily, you can also make use of salt for facial toning because it works in cleansing the pores deeply as well as balances the oil production. It can also thwart bacteria, which can cause acne and breakouts in your skin. All you need to do is to combine a teaspoon of salt with four ounces of warm water. Put it into a small spray bottle until the salt is dissolved. You can start misting it on clean and dry skin. Repeat the same twice a day. Rejuvenating body scrub – You can also use salt for skin softening purposes because it can restore the skin’s natural appearance. To achieve the best results, use salt with Aloe Vera for healing and hydrating skin and lavender for its circulation boosting and antiseptic properties. To use this remedy, all you need to is to combine a quarter cup of Aloe Vera gel or juice, one-half cup of salt, one tablespoon of dried lavender flowers and 10 drops of lavender oil. The mixture will then form a thick paste, but if you find it too dry, you can add a few drops of oil. To use it, put some of it in a loofah or washcloth and then scrub it gently on your skin with a circular motion when taking a shower. Anti-dandruff treatment – If you are suffering from dandruff and you want to get rid of it using a natural solution, try salt! It works by getting rid of flakes, while at the same time it stimulates blood circulation to promote scalp health. Salt can also absorb any excess moisture and oil that can prevent you from suffering from fungal infection in the scalp due to dandruff. What to do is to part your hair into several portions and then sprinkle a teaspoon of salt into your scalp. With your finger, massage the salt into your scalp, but do it gently for about 15 minutes. After, rinse hair and condition it. Notice visible results in an instant. Nail brightening – You can soften the cuticles, clean skin and strengthen nails with salt, too! You can use it in combination with lemon and baking soda that work in removing stain in your nails, getting rid of their yellowish color and promoting healthier looking nails. What you have to do is to mix a teaspoon of salt, a teaspoon of lemon juice, a teaspoon of baking soda and one-half cup of warm water, all in a small bowl. Soak your nails onto this solution for about 10 minutes before scrubbing them with a soft brush. Once done, rinse your hands and moisturize them. Foot care – After a tiring day of work in the office, you can soak your feet into a saltwater bath. What you have to do is to pour six quarts of warm water into a large basin. Then, add one-fourth cup of salt and one-fourth cup of baking soda. Soak your feet for 15 minutes before rinsing. Pamper your feet with this foot care solution once in a while. Perhaps, your hard working feet deserve it! Insect bites – Now if you have painful bee sting, you can relieve it with salt, too, by just dampening the area and then packing on a small amount of salt on it to reduce the swelling and the pain. This is one of the survivalist’s techniques you can use when out in the wild and you got nothing but salt around the get rid of the pain from bee sting. Aside from treating bee sting, you can also make use of salt when treating mosquito bites. You can just soak the mosquito-bitten area before rinsing. You can do the same for treating poison ivy. Alternatively, you can make use of olive oil combined with salt to get rid of the same problem. For more information on mosquito bite remedy, see our article on this topic. Amazing salt, isn’t it? Who could have thought it has so many uses that we might not know about before? Now that you know that you can use this powerful agent for a variety of purposes, whether for home or personal care, you can definitely accomplish tasks much easier and faster. And when it comes to personal care, you now know that you don’t really need any chemical-based products to clean or pamper your skin, feet and body, but just make use of salt or combine it with other natural ingredients, including honey for the best results. 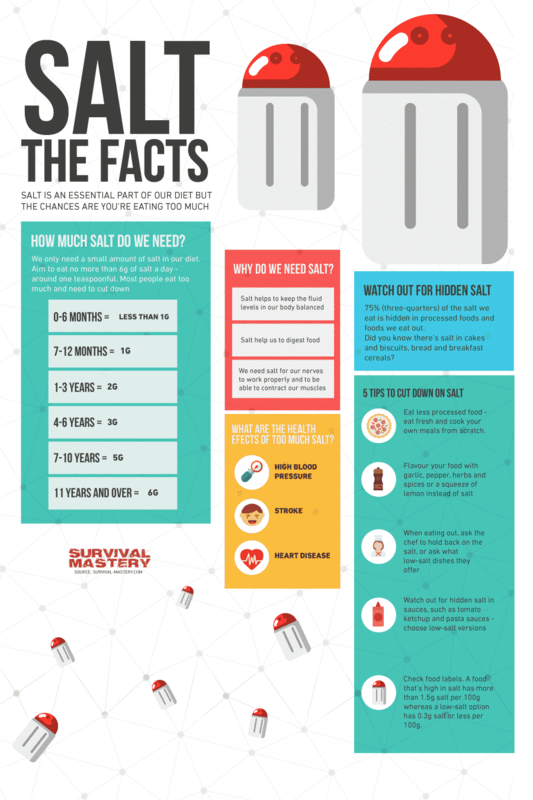 If you think we missed an important salt use in this guide, feel free letting us know in the comments. Finally, bookmark or share this page to your social circles if you find it interesting. If you find this interesting, you can also check out the many benefits and uses of Epsom salt for the health.